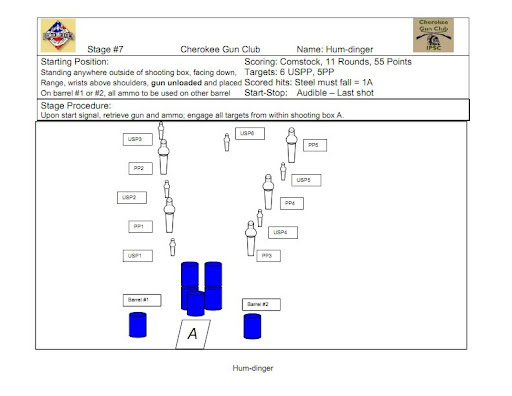 On Saturday June 9, 2012, I shot in the USPSA match at the CherokeeGun Club in Gainesville, Georgia. The day was sunny and warm, never about the mid-80’s. There were 81 shooters total, and 7 stages. I shot in Squad 7, so I shot the last stage of the day first. However, I’ll describe the match in order. I also will track some lessons learned with numbers in parentheses (thus) and talk about them in the Debriefing. 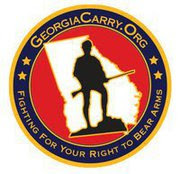 Stage 1 was Georgia State Standards, and, as the name implies, was borrowed from the Georgia State USPSA match. 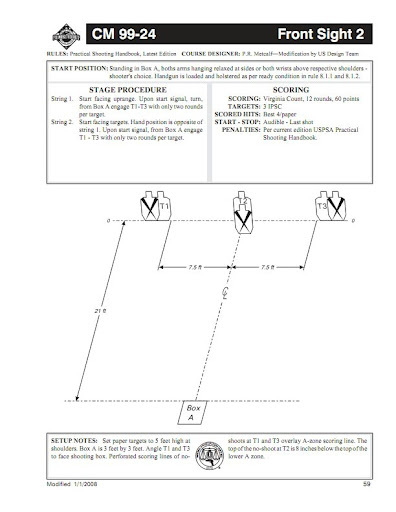 It consisted of twelve USPSA targets arranged in an inverted V shape, with distances ranging from 7 yards out to 40 yards. There was a box opposite each base. 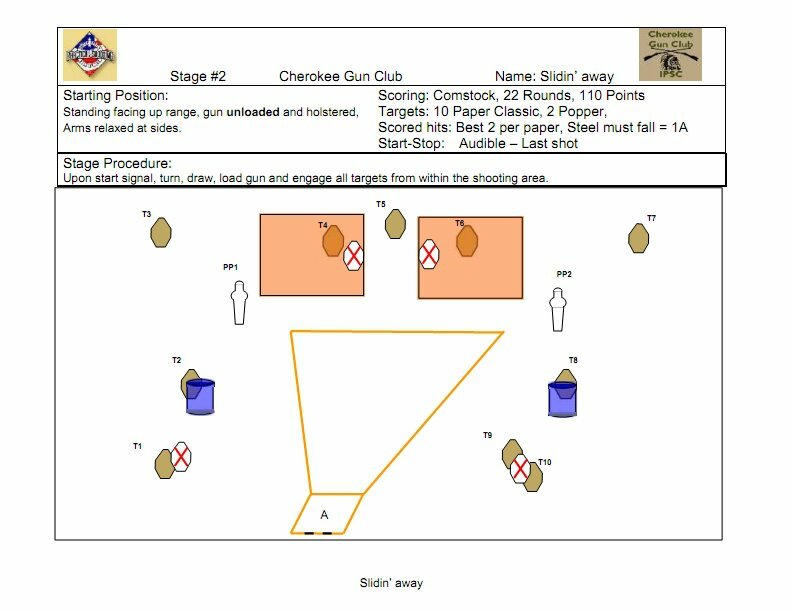 The course of fine was, from either box, one shot on the targets on that side of the center line, then moving to the other box and one shot on each target there. For a second string, you started in the second box, shot one per target, then moved to the other box. At this point you shot one per target with the strong hand only. The next stage was called Sliding Away. We shot the two poppers from inside the box, then we could engage the 10 paper targets in any order. This was my best stage of the day. I ran it fairly quickly, and had all A’s and C’s, with no misses. In fact, I finished ninth of 29 in Production on this stage. My key was making sure I had a good sight picture on the poppers, as well as moving while I shot. It seemed to be a theme of the day that so many shooters stood still while shooting, then ran like hell to the next shooting position. Since I’m not very fast* I can’t rely on running, and learned to shoot while moving. We also started facing uprange with the gun unloaded and holstered (3), and had to turn, load the gun, and fire. If I had to guess, this stage was designed by someone who open carried in California. The next stage had a left side and a right side shooting box. From the left you could shoot 5 poppers, one of which engaged a clamshell target. A clamshell target is a target that pops up, and then a second later gets covered by a No-Shoot target. This means you normally have to shoot the clamshell as soon as it’s activated, and that’s how the first person through the stage shot it. Soon, though, someone noticed there was a lot of target showing above the No-Shoot, so they decided to leave it till later, and take a head shot on the portion that was exposed. This worked just fine, and the rest of the squad shot it that way. I actually tried to shoot the clamshell in the center, but I didn’t double tap it (4), and had to end up settling for A/C, with the A in the middle under the No-Shoot. I finished 41 out of 81 total on this stage, my best of the day. Here’s video of Stage 3. Here’s Dave Sevigny running Stage 3. Dave was in the group behind us. You would think Dave would win the whole match. Sorry, KC Eusebio beat him. 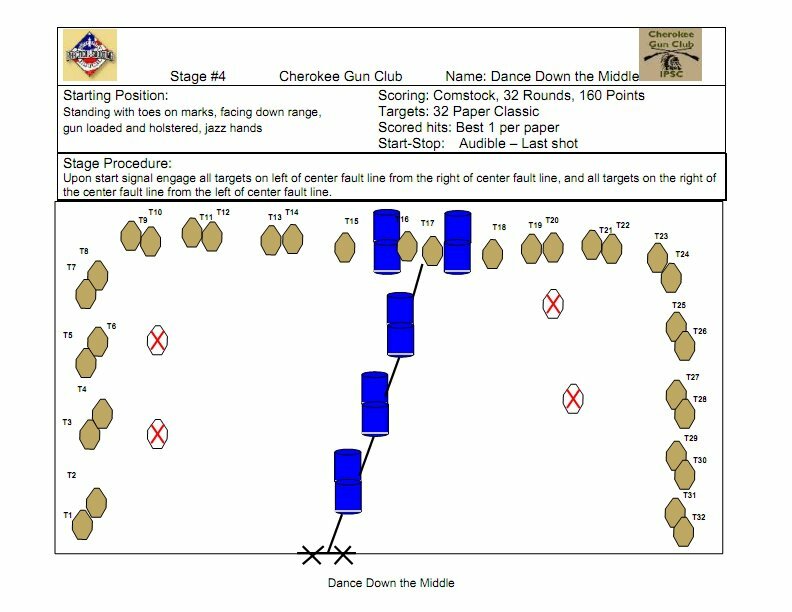 Stage 4 was called Dance Down The Middle, and it was made up of single shot paper targets around the perimeter, with a center fault line. 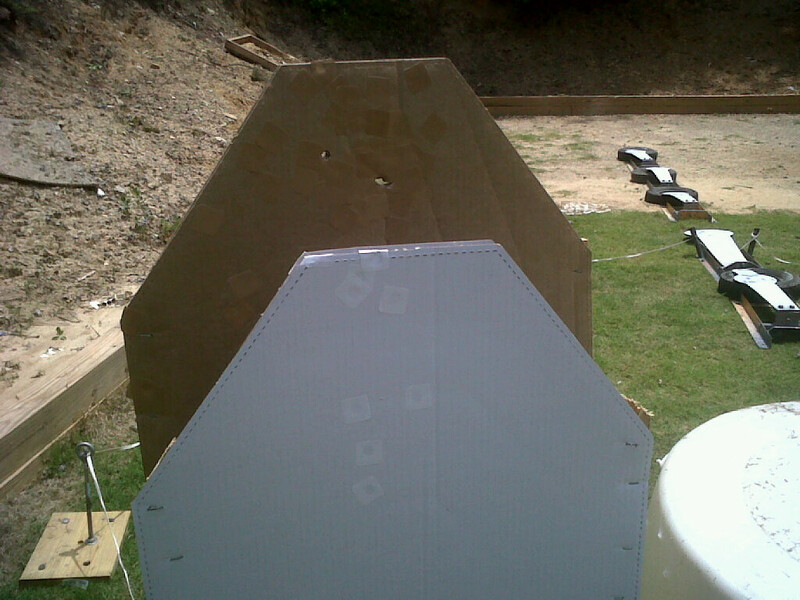 All the targets on the left had to be shot from right of the fault line, and vice-versa. Most people shot it thus: at the sound of the buzzer, they stepped over the line and started shooting at targets, standing still, until they had shot the number they had in mind. Then, they hopped over the line, some changing magazines as needed, and shot the other side. Then, they ran like hell to the next shooting position, and did the same thing. Here’s how I shot it: At the sound of the buzzer, I moved over the line and shot the first five targets, moving up to where I was opposite the first target. Then, I moved over the line and shot the first five of the other side, while moving down range, keeping myself just behind a 180-degree line to the target. 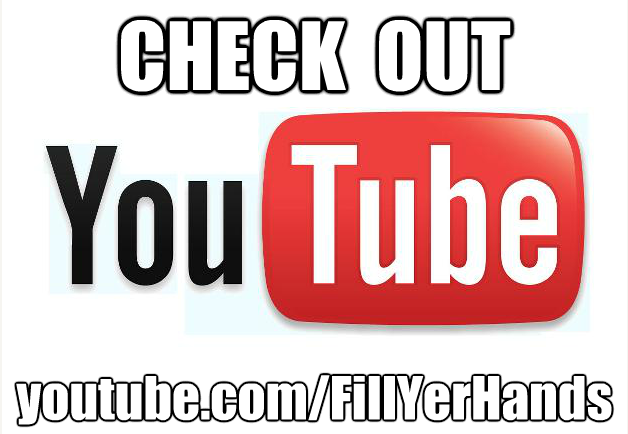 I then continued on thus till I was done. My Embarrassing Moment of the day came after my first string. As I was moving and changing magazines, the magazine fell out of my hand. Fortunately, this isn’t a penalty, and I kept the presence of mind to keep my muzzle down range and retrieve the magazine (on the run, no less) and get it in the gun. (This is where I’m glad I don’t have a Hat Cam like Walt. 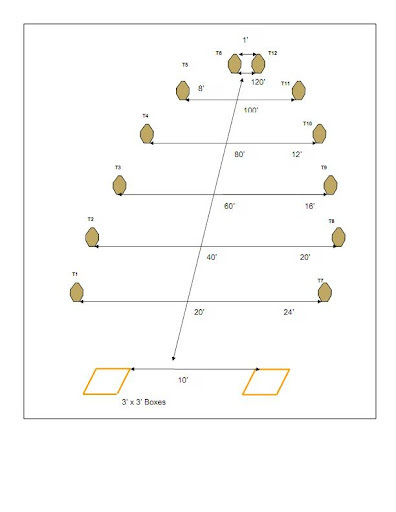 Sorry, there wasn’t a diagram of Stage 5. Stage 5 was called Urine in Your Face, and I have no idea why. 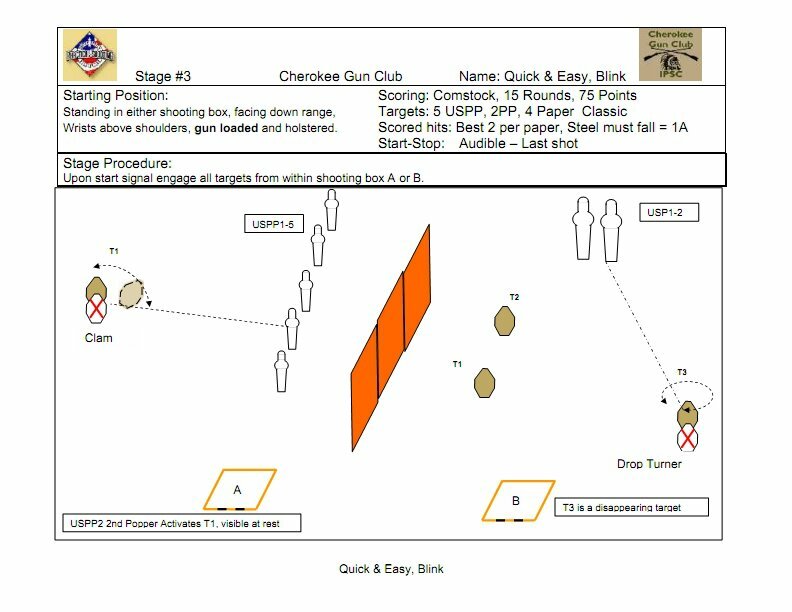 It started with a lone steel target from the starting box, then a series of paper targets and No-Shoots shot from a lane moving down range. Again, most people moved, stopped, and shot several targets, while I kept moving and shot on the move. Stage 6 was a Classifier called Front Sight 2. 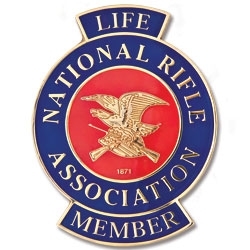 It was almost like an El Presidente drill, except we ran it in two strings, and we started one run facing uprange with hands raised, and one string facing downrange with hands at our side. Draw and put two on each target. When I finished shooting, someone behind me called out “sandbagger!” That’s because I had shot 12 alphas with a time of about 8 and a half seconds. But I practice El Presidente, and this was easier, since there was no magazine change. Stage 7 was Humdinger, which was undoubtedly named for the noise it makes. Eleven steel targets, all shot from a shooting box and around some barrels. In retrospect, I didn’t do the worst I could have done, nor did I do the best. In general, the Mikes meant I was shooting too fast. A little slower will means better hits. It’s a tough realization for someone who is competitive and thinks they should be shooting fast. But if I am to get to that point, it will mean – shocker! – PRACTICE! I need to shoot one handed a lot more. 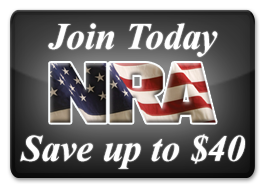 This was evidenced on Stage 1, as well as on the “reverse handed” stage at the Memorial Day shoot at Creekside Firing Range. 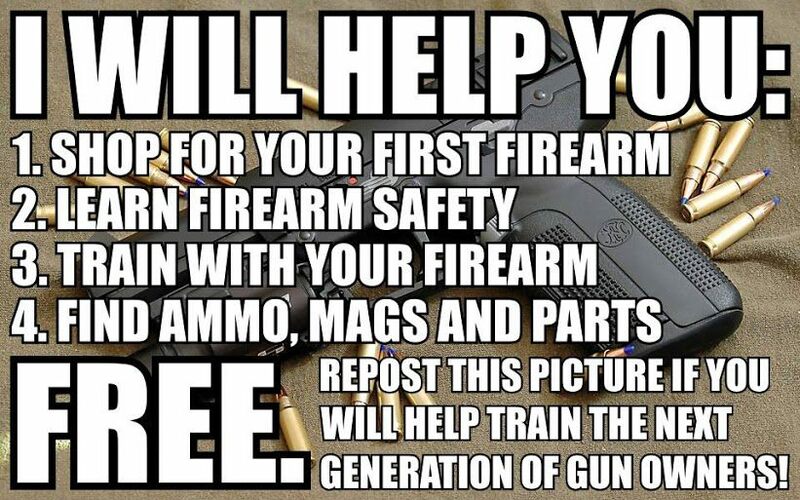 I need to practice drawing an unloaded gun, loading it, and firing. In case I open carry in California. 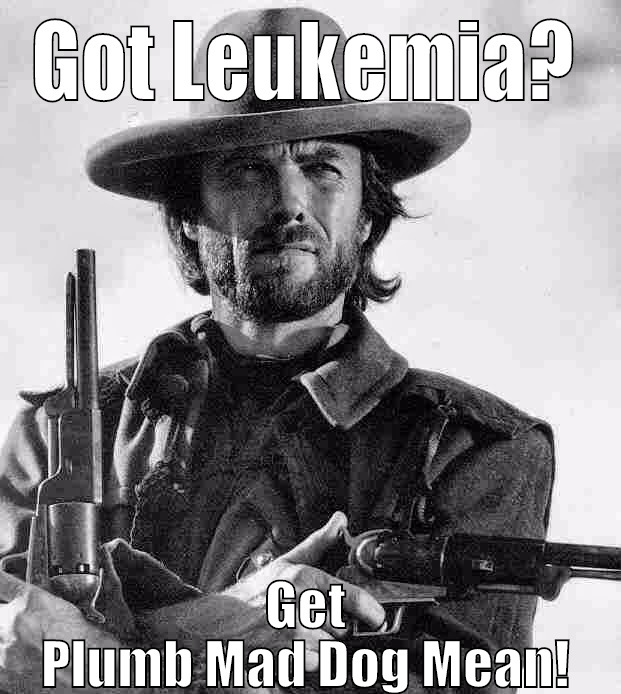 Or I’m ambushed coming out of a gun show. I need to work on double taps. I need to practice shooting on the move. This may require a lot of dry firing or Airsoft work, since there are a limited number of places I can practice this. Slow down and make hits. My score will go up. I can’t miss fast enough to win.